Guess what time it is? It’s 30 minute meals time! YAY!! Did you all know I love (seriously love) casseroles?! I really do! I used to make them almost every night when Sean and I first got married. But after a while we stopped making them because we got tired of always eating casseroles. They’re simple to make and almost always only use one pot, which is awesome. Especially when you’re young and don’t know how to cook. I made them so often that we got tired of them and said no more! Fast forward a few years, okay 15 years and we’re ready to introduce casseroles into our lives again. Since I heart, okay maybe obsess over Mexican food, I thought what better way to introduce casseroles again then have it be a Mexican recipe. I know, I know, but what can I say, I love Mexican food. Oh my gosh, you guys this casserole is to die for. I’m so happy that we’re making casseroles again because I’ll make this recipe again and again. It’s simple to throw together and on your dinner table within 30 minute. What’s not to love, right? You all know that I love a quick meal. 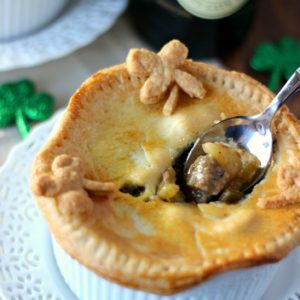 There are days that I just don’t feel like cooking dinner and this recipe is great beaucae it only takes 30 minutes. Guess what? It’s great as left overs too. That’s a winner in my family. We aren’t big leftover people, so when a dish tastes great as leftovers it’s a go to recipe in my book. I think you all should make this recipe for dinner tonight. I promise you won’t be disappointed. I’d love to know how you all liked it. Be sure to visit all of my food blogger friends and check out their 30 minute meals. You’ll love them all as much as I do. Promise!! 🙂 Happy April!! In a large skillet add ground beef, garlic and brown about 3 minutes. Add bell pepper onion mix and poblano peppers. Cook 5 more minutes, until meat is almost browned. Drain meat and return to the skillet. Stir in taco seasoning, Rotel tomatoes and black beans. Heat over medium heat for a few minutes. Set aside. While the meat is browning add the soup and sour cream to a medium bowl. Mix well. Set aside. In a 9x13 baking dish spray lightly with non-stick cooking spray. Using 3-4 tortillas cover the bottom of the baking dish. You might need to cut them into pieces to fix perfectly. Spread half of the sour cream mixture over tortillas. Top with half of the meat mixture. Spread half of the cheese over meat mixture. Repeat layer one more time. Bake 15-18 minutes or until cheese is bubbly. Let sit 5 minutes. 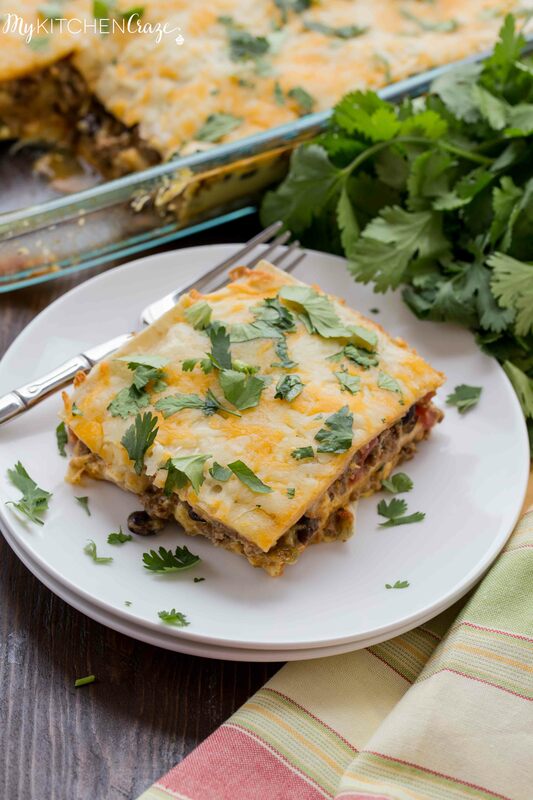 I had leftover turkey from Thanksgiving and made up a similar dish using up leftovers…. I had kale spinach dip, shredded carrots, sliced mushrooms, a diced onion, a jar of salsa, some whole wheat tortillas, a packet of taco seasoning, fresh cilantro, diced olives- green and black, a pack of shredded pepperjack cheese and a handful of diced jalapenos I diced and froze a few months ago before they went bad! 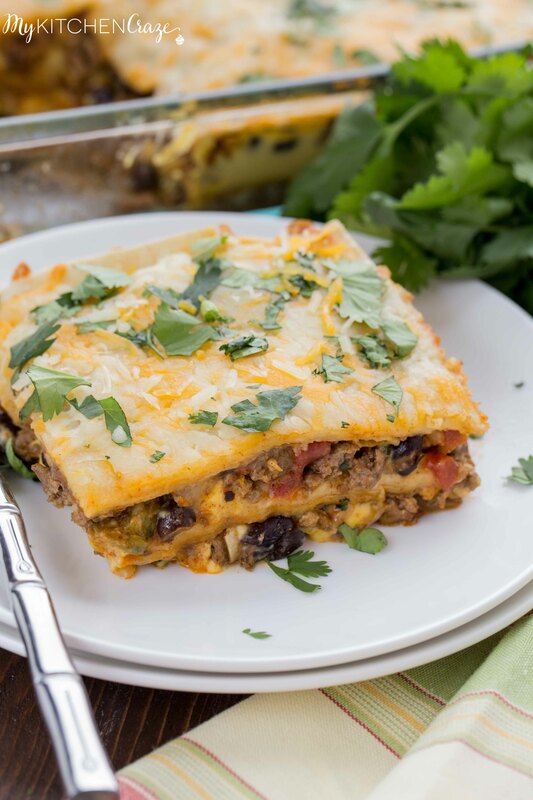 Start with a layer of salsa in a baking dish, a layer of tortilla..then layer ingredients in two more layers between tortillas ending with salsa and cheese. 350 degrees until hot…30 mins! You could also roll the ingredients in the tortillas pour salsa and cheese on top and have enchilladas. You can pretty much add anything left over in your frig to use it before you lose it! Another bonus was the added space in frig after…. and Cyndi is right…its equally as good the next day. Yay for 30 minute Thursday and casseroles! I love them too…so easy to whip up and great for leftovers! This burrito version is just calling my name, Cyndi! 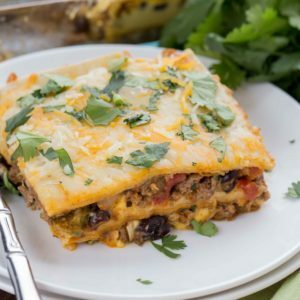 I love the zesty flavors in here and my husband would love this too! Wait, burrito casserole?? This is the most genius idea EVER, Cyndi! 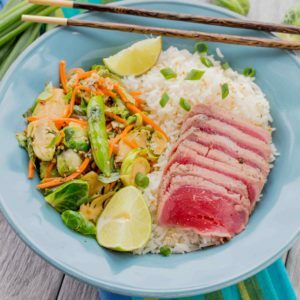 I have a feeling this would definitely be popular with my family and I think I’ve found dinner for next week! 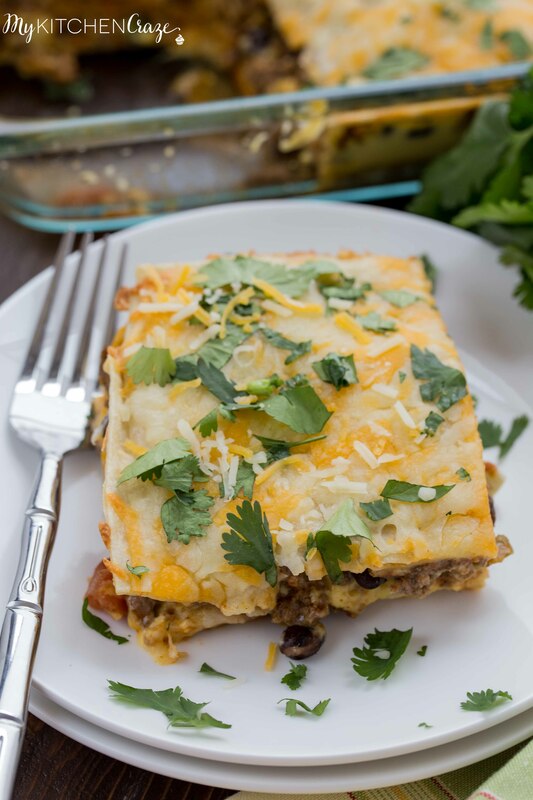 I love casseroles, too, especially when it has to do with Mexican food! This looks so much better than a regular old burrito, and I love all that cheese! Haha me too Marcie! Thanks!! Ok, you’re reminding ME about casseroles now! I grew up eating them a lot and I used to make them fairly often when I first started cooking too. But then I sort of stopped, for whatever reasons. I think I need back on the casserole train! This looks amazing. I’m always down for Mexican flavors! You totally need to get on the casserole train again Liz!! 😉 Thanks sweetie! Yes! I adore casseroles now that 2/3 of us are working outside of the home. They’re easy to throw together and pop into the oven and even better for leftovers so we’re not eating out for lunch at work. Adding this one to the list! Thanks Bintu and I hope you guys like it!! Thanks Amanda and I totally agree! 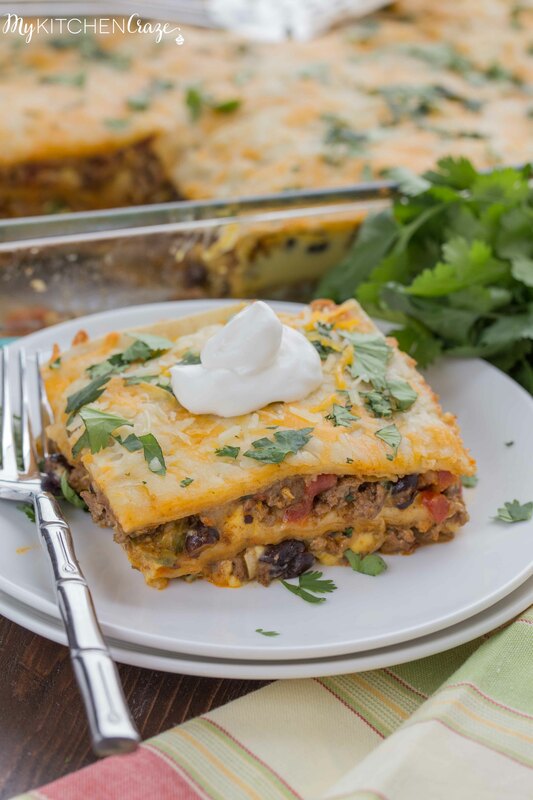 What a great idea to take all the wonderfulness of burritos and make it into a super-easy casserole! And you weren’t kidding about this being easy – what a perfect recipe to totally save the day when life gets busy! Casseroles are the best! This looks amazing! 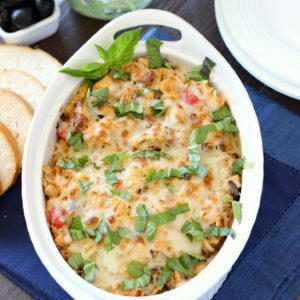 Easy casseroles like this are my favorite! I love that I can prep dinner earlier in the day and then all I have to do is pop it in the oven when it’s time to eat. The flavors in this one are some of my favorites! Casseroles are just so easy huh? Thanks Kristine! 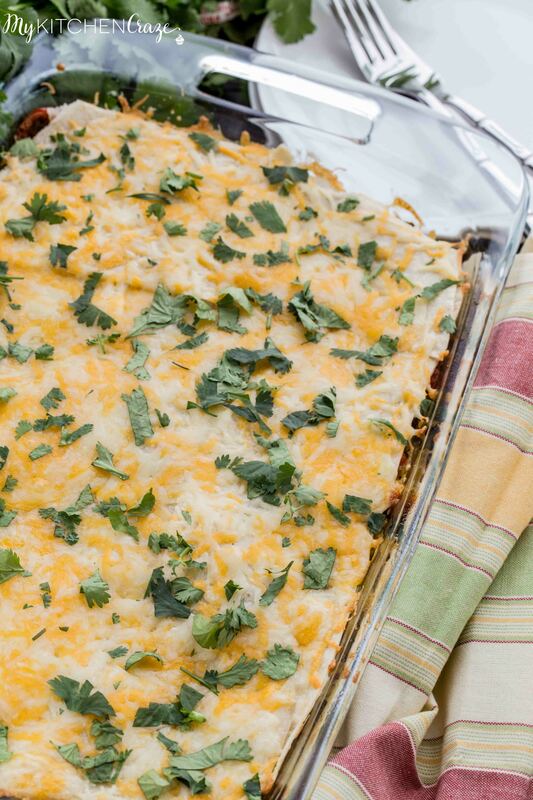 This is one casserole my family would devour! It looks awesome! 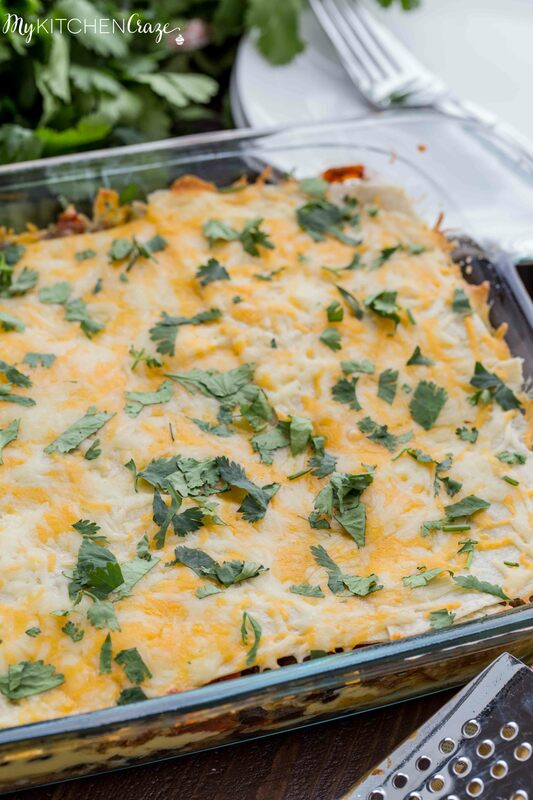 I’m dying to try this burrito casserole! Looks scrumptious! This deliciousness takes just 30 minutes to make? It’s definitely going on my to -make list stat! What a gorgeous looking casserole! This looks DELISH, Cyndi! I am such a Mexican food addict, and we don’t eat it nearly often enough. Love that you got burrito flavors in there. I never used to like casseroles when I was younger, but am enjoying them more and more as I get older – because they’re so easy, and who doesn’t love one pot meals?! This one looks amazing – and I love Mexican food so I would definitely love this!